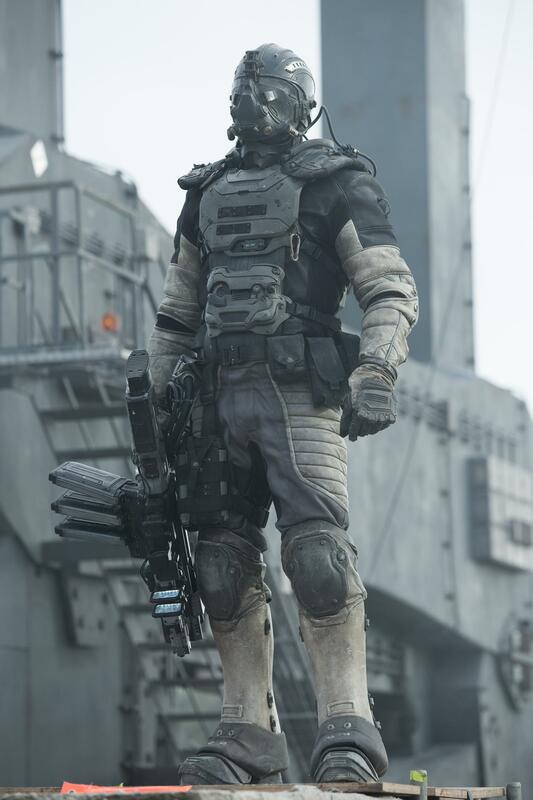 A DARPA armor component from the 2016 sci-fi action film Spectral. In the film, a team of special ops soldiers are sent to fight a race of beings with ghost-like qualities. Soldiers wear their DARPA armor in their final fight against the hyperspectral anomalies. Made of foam urethane, the piece features black nylon string and detailing made to depict metal screws and fasteners. The component also features black plastic snap buckles and black wiring. The piece shows some production-made wear, but remains in very good overall condition.